Today we’d like to introduce you to Brian Dunlap. Personally, I was working for a corporate company doing Business Systems analytics and personal training on the side. Guy Zigfrid (business partner) was working as a diamond wholesaler/jewelry designer and trying to get his own line of collegiate jewelry off of the ground. Windel Antiporta (Chef) was not to long out of the Army and getting ready to head to Costa Rica to open a restaurant with some friends. That’s where everything kind of started. 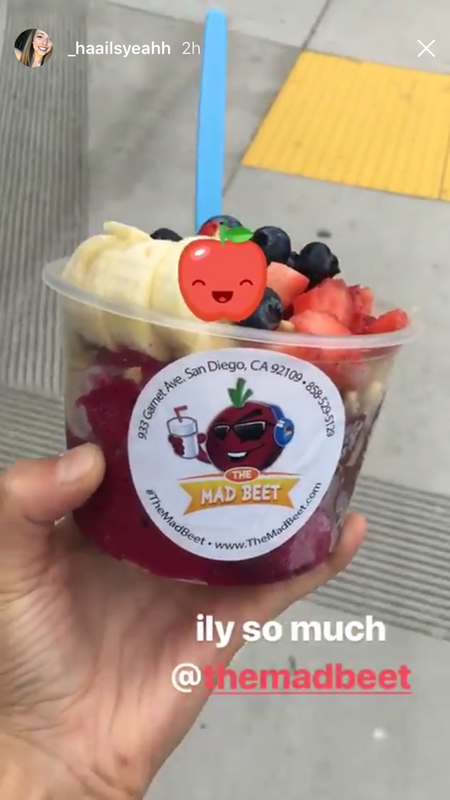 Guy and myself lived in the same condo complex, worked out at the same gym and always got food from the same smoothie spot in Mission Valley. We just had a thought one day of working for ourselves, doing something that we wanted to do, the way that we wanted to do it, following our own rules. From there, we thought about a Juice/Smoothie shop and started looking around. When we opened our first shop at 4508 Cass St. it was on short notice. We got really lucky to find the spot we did, the old Sully’s Sandwich shop, almost prime location. We opened the business with the money in our pockets and what amounted to a business plan written on a bar bev-nap. From there, it was slow going at first. We grand-opened with some friends and local family and business was slow, we were expecting this to be easy, doesn’t everyone become a millionaire just by opening their doors? After a month of struggling, we turned things around, by nothing more than elbow grease, hard work and efficiency. We (Windel and myself) are ex-military and we turned that into our mindset, work smarter, not harder. Things went well for us the first year in business, we were recognized early by Zagat and by Channel 5 news, locally. After the end of our first year, we hit a snag with our landlord and started looking for a new place. We definitely got lucky when Franco Realty had the old Valencia clothing store open for rent. This place was 3 times the size of our old location and required 3 times the work to transform it from a women’s clothing boutique to a fully operational restaurant. After 4 months of 16-hour days, closing one store, only to head over and do construction projects at the new store, we finally opened. 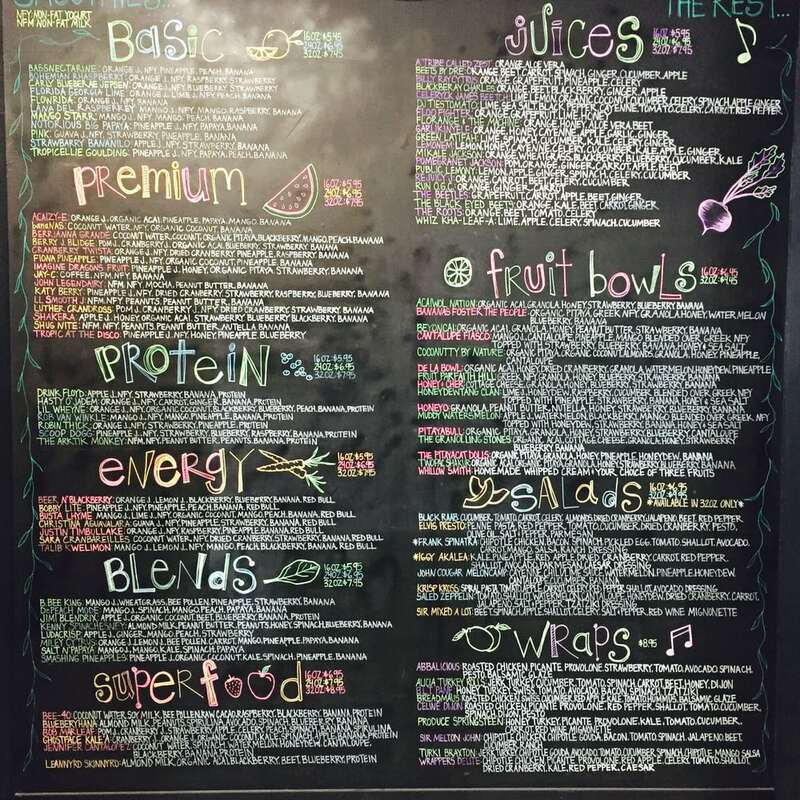 Our current shop opened in June of 2015 with over 185 menu items, all musically related to show that eating healthy can not only be fun, but delicious as well. 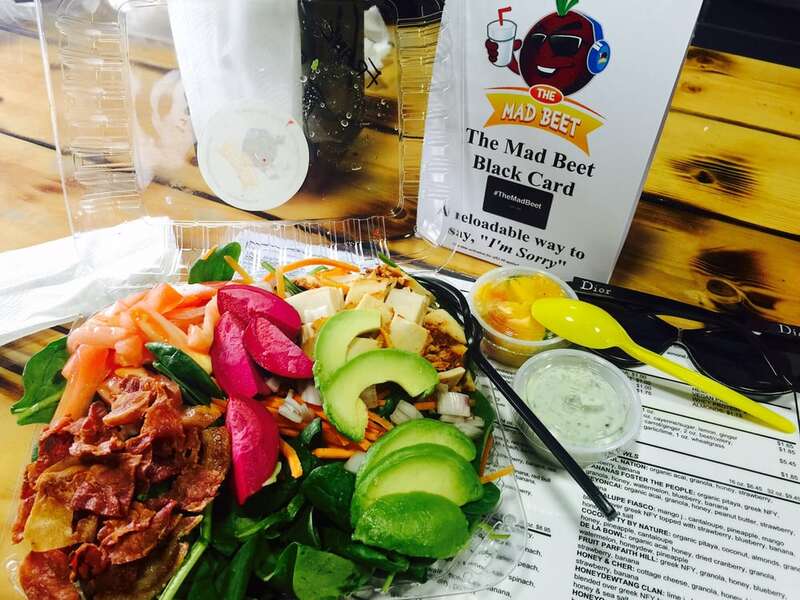 The Mad Beet is more than just a restaurant for the three of us, it’s our way of showing the world how WE EAT. How three men, from completely different backgrounds, came together to make good food, from scratch. We hand make all of our sauces and nothing on our menu is pre-made. We used our shop as a way to not only give back to a community that has supported us from the beginning, but a way to feature local artists and local entrepreneurs at the same time. 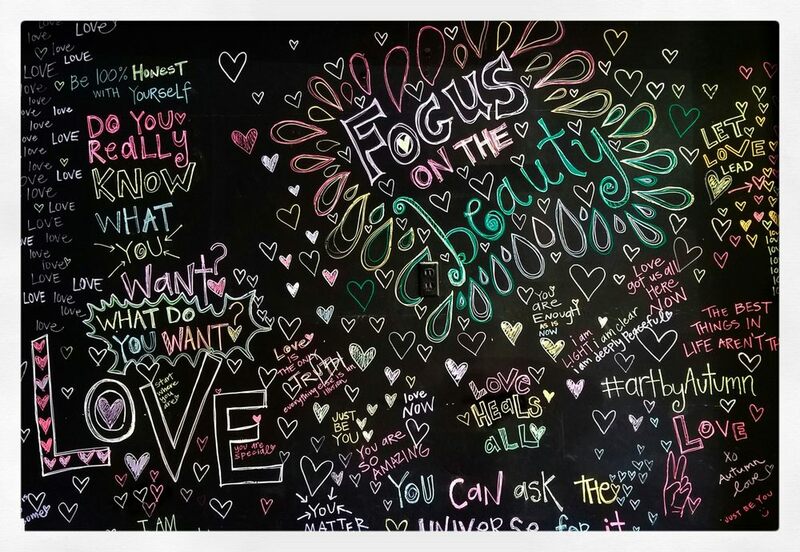 All of the artwork in our shop has been done by the amazing local artist, Autumn Love @artbyautumn. Our shop donates over $10K a year to the local school systems and local animal rescue shelters. 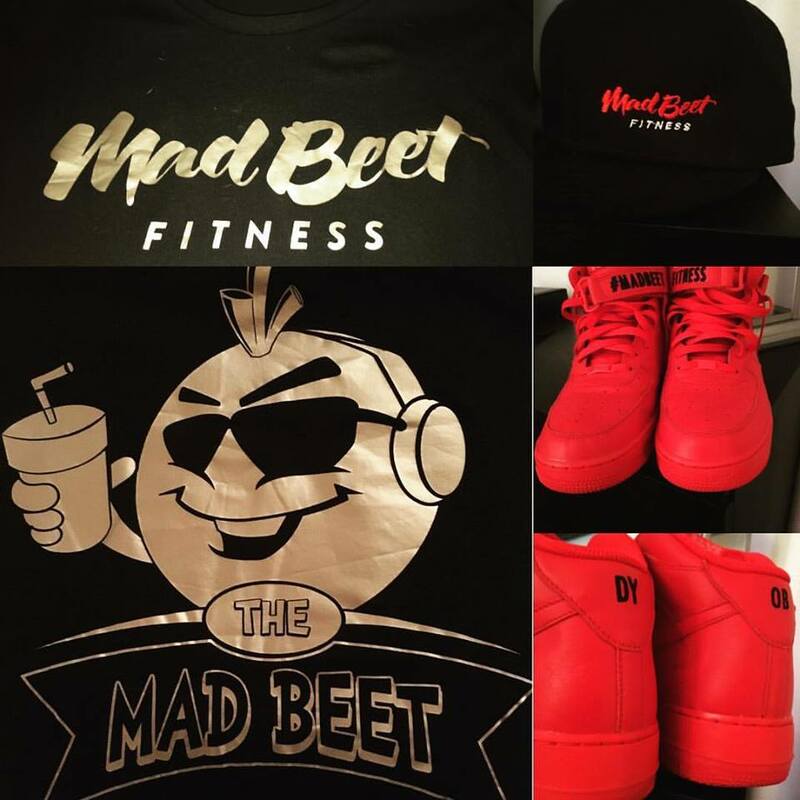 We at The Mad Beet not only promote a healthy lifestyle we live it every day. Coming up with a name for the shop was probably the hardest thing to do, I mean, we weren’t franchising someone else’s idea, we were developing our own. How do you come up with a name that fits not only what you are doing, but gives you a theme to develop your business around? 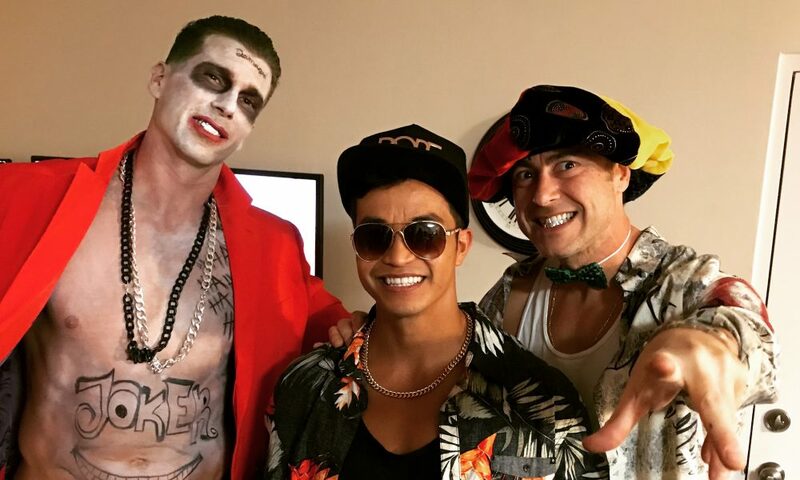 So, Guy, on one of his many trips to Texas came home with a brand new, original name. 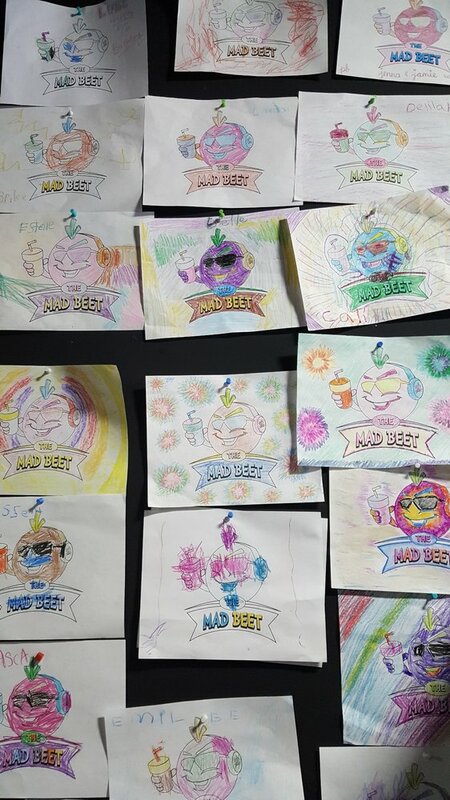 We went from PB Smooth to PB Juice to finally, The Mad Beet. Once Guy came up with the name, the rest was easy, sort of. We sat down, made the menu and then decided to relate every item on our menu to some sort of musician, the original ‘Beet’ makers. 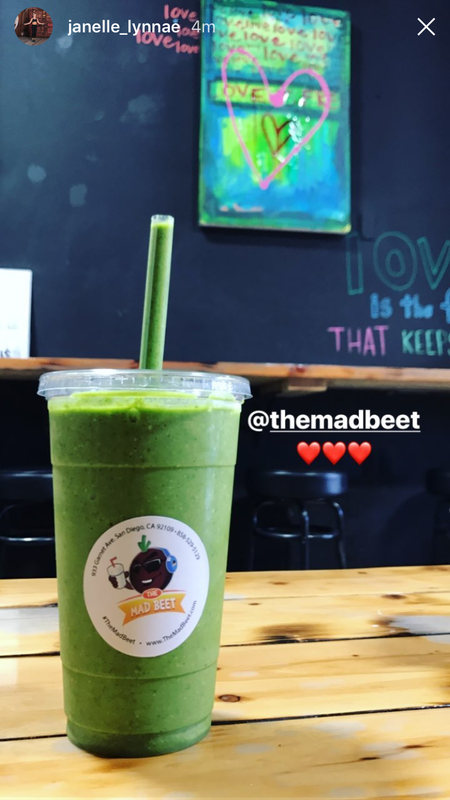 The Mad Beet – what should we know? What do you guys do best? What sets you apart from the competition? 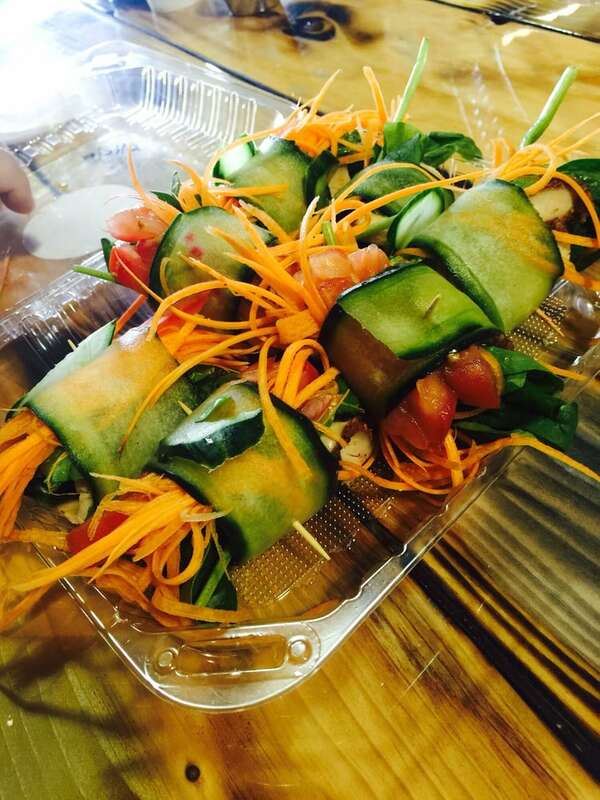 We make healthy food, FAST. That was our goal coming into the shop and we have surely succeeded with that. With so many people, the hang up on eating healthy is not only the price, but it’s not fast. We have worked long and hard to make our menu completely efficient for our staff, which allows us to have most food out to the consumer in less than 2 minutes. 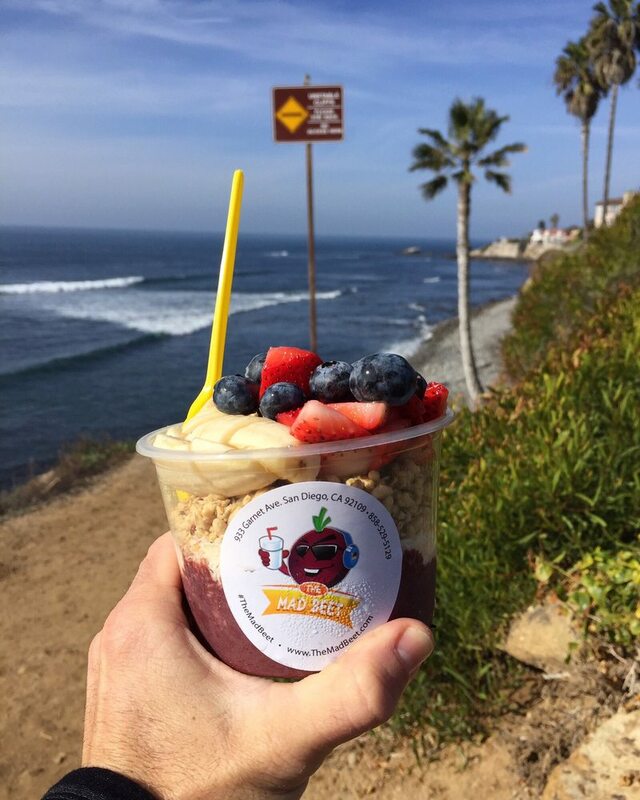 Our acai bowls, hands down. We give you a super simple product in a clean, beautiful way. Our bowls are what we have become known for, from our AcaiWolNation to our Beyoncai, we have people dancing to get the food for free!!! We have done everything our way, period. We play our music, we serve food that we are not only proud of but we eat ourselves, on a daily basis. We promote our brand of healthy living throughout the community, by either doing fitness competitions with our staff or supporting local fitness-based businesses by doing group classes on a weekly basis with our team. We took our love of fitness and turned it into a restaurant. Our menu. 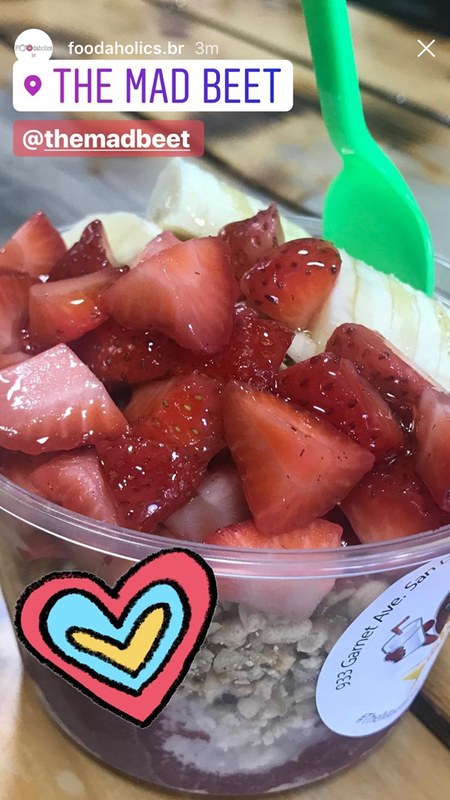 Not only is it massive, but it is entirely straight-forward, everything that we tell you that comes in your bowl, wrap, salad, juice or smoothie is ALL that comes in it, no hidden tricks or gimmicks. We wanted to show that eating healthy could be fun and simple, all in one. 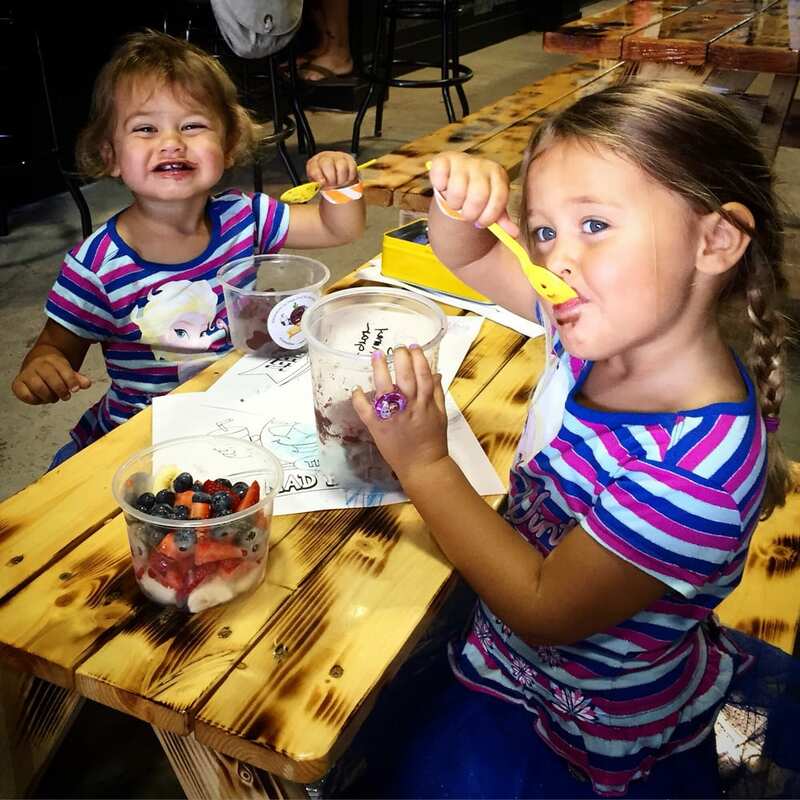 When we have any of the kids from the community come into our shop, ask us for one of our stickers, sit at our kids table and eat a healthy food item with a smile on his/her face. Seeing a child eating healthy and loving it, that’s how we define success.